Durham, NORTH CAROLINA. 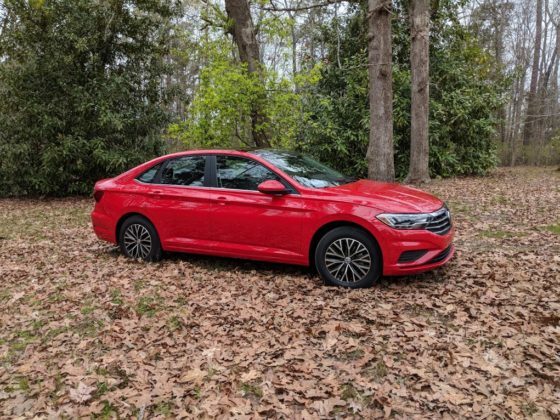 There’s something about the Volkswagen Jetta that makes it different from any other compact sedan on the market. 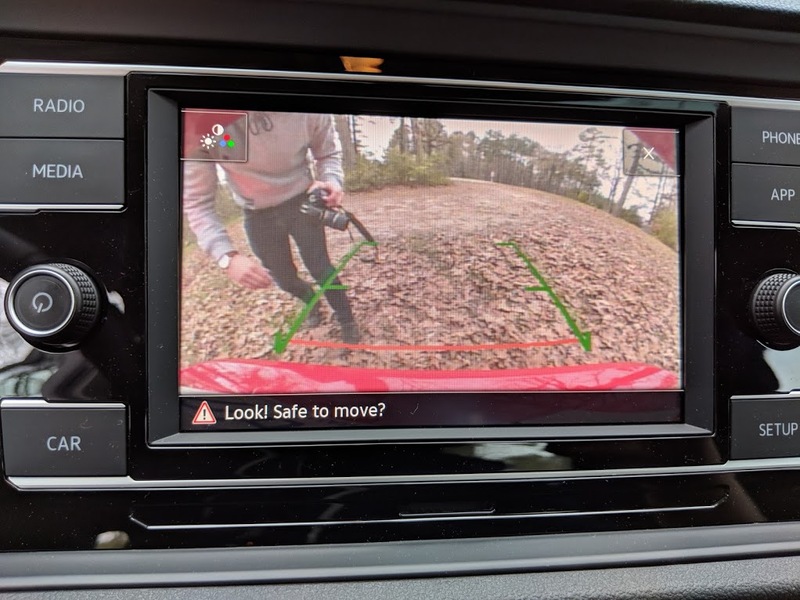 It’s hard to pinpoint exactly what it is, but it has to do with how the car feels when you’re behind the wheel. It just feels tighter than a Civic or a Corolla, and simply more connected than most vehicles in this segment. 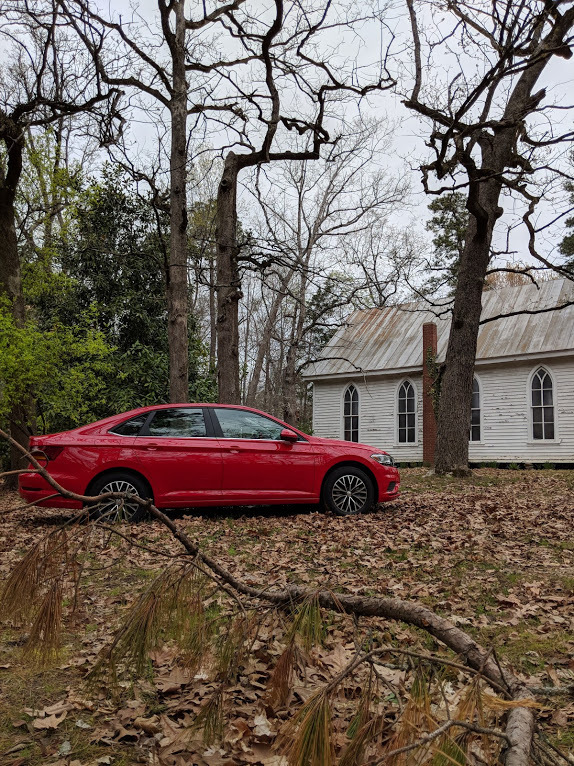 The only competitors that come close in terms of handling and sharpness are the Mazda3, and maybe the Kia Forte. 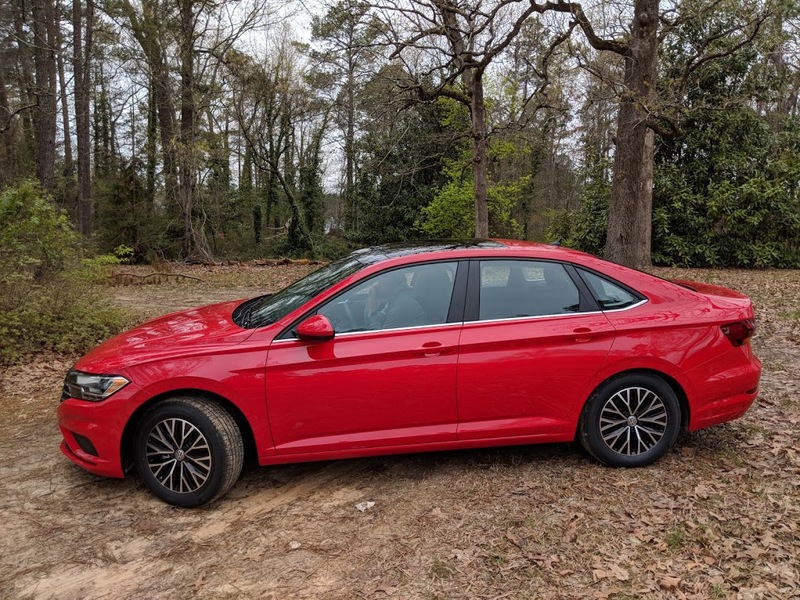 The 2019 Volkswagen Jetta was way overdue. 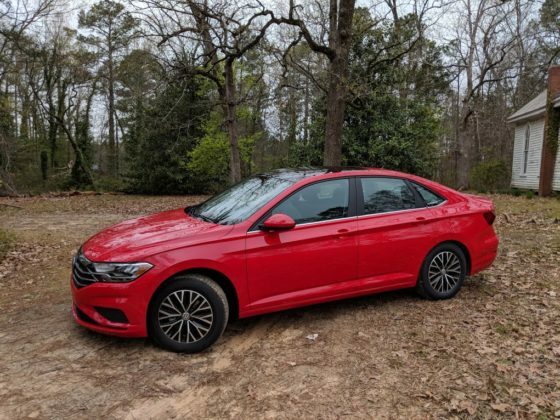 We’ve been hearing about it for more than a year now, and we’ve had to live with the previous Jetta for the last 6 years now. 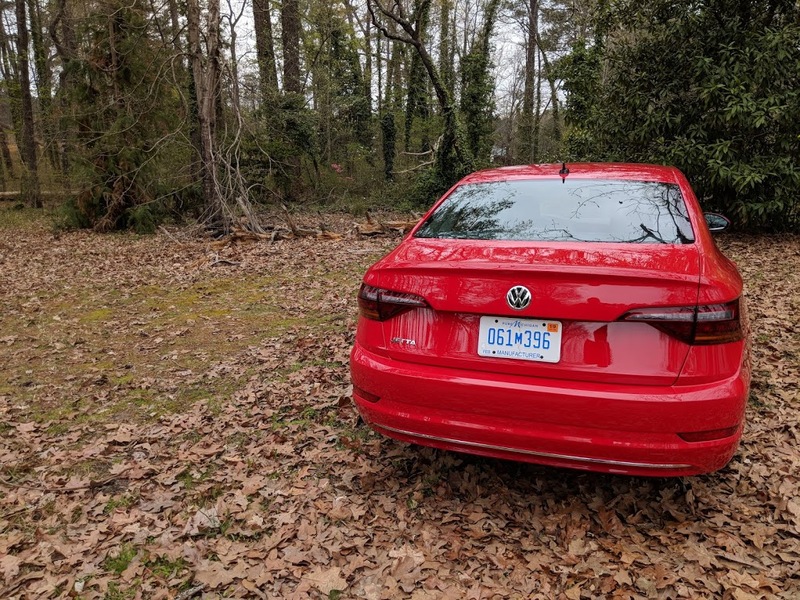 That’s an eternity in the automotive world, and it speaks volumes to the quality of that model that they were able to keep it on the market for so long without it really showing its age. VW won’t be trying their luck as much with this new generation. 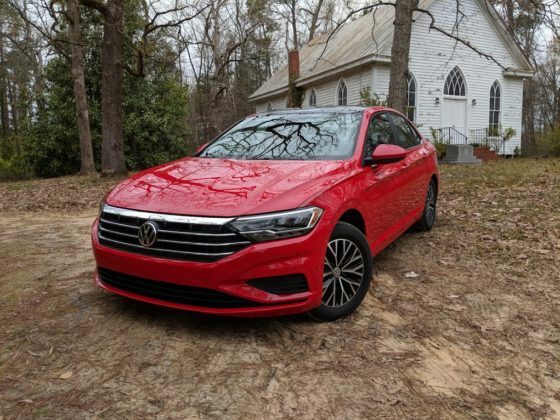 Built on the German automaker’s MQB modular platform, Volks will have more flexibility and therefore will be able to refresh this Jetta sooner when the time comes. 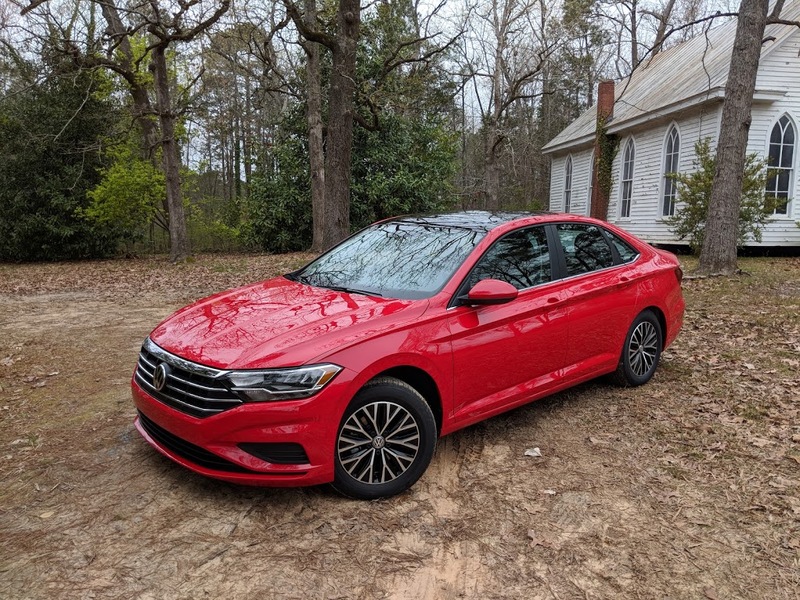 Overall, the 2019 Jetta doesn’t radically differ in terms of driving behavior and personality from the previous Jetta, but it also gets better in every way. If you didn’t like the old Jetta, I’m not sure you will like this one. If you’re already a fan, you’ll still like it despite its increased dimensions and softer ride. The 2019 Jetta isn’t that different from the outgoing model when it comes to its design. 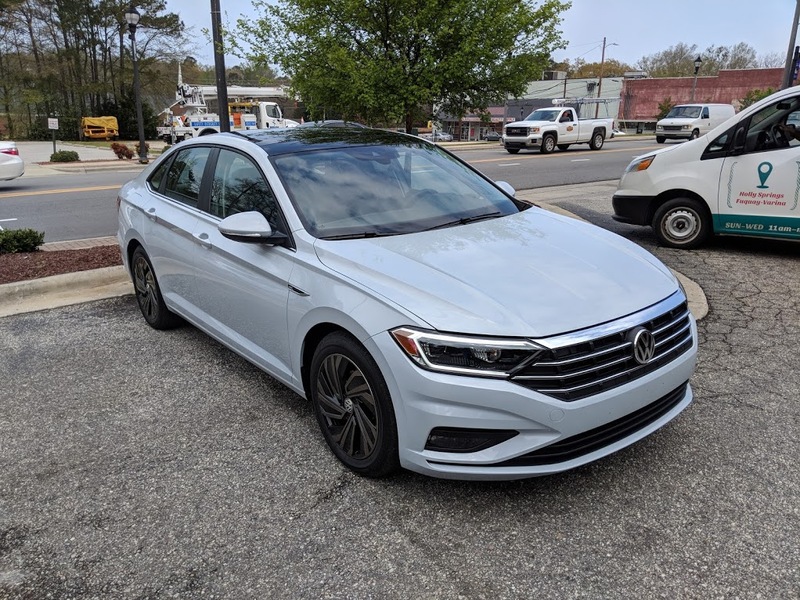 Sure you can tell fairly quickly the differences between this new generation and the outgoing model, but you can also tell that VW wanted to keep doing the refined and subtle route as opposed to being more in-your-face. 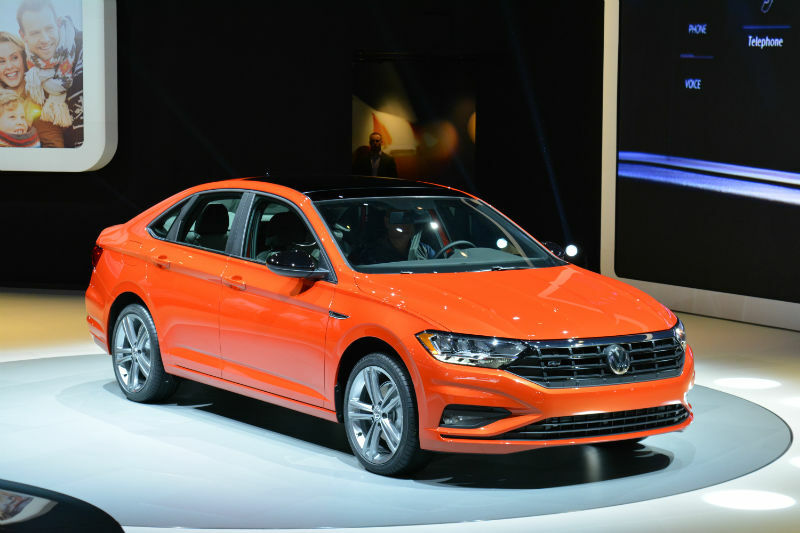 The MQB platform allowed VW engineers to stretch out the Jetta a bit which means more interior space for everyone. 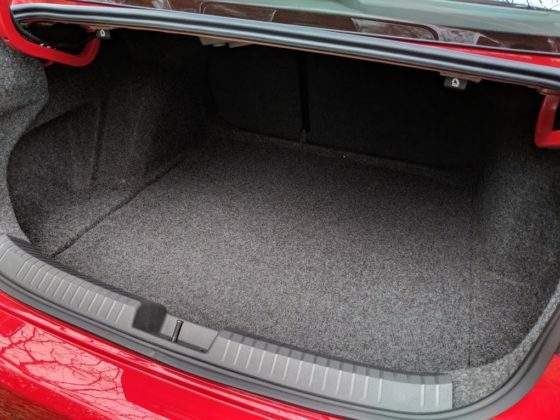 The trunk is also quite spacious with its 399 liters. 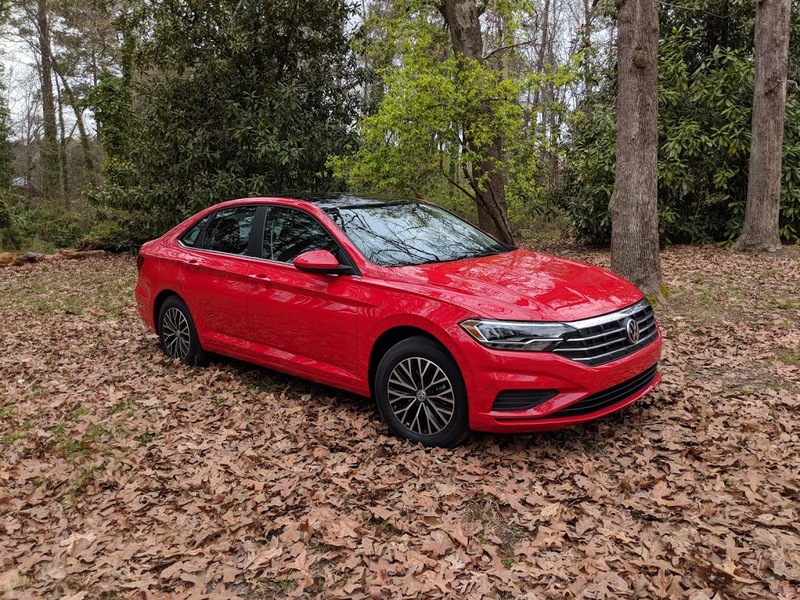 The Jetta is definitely one of the most accommodating models in its segment. 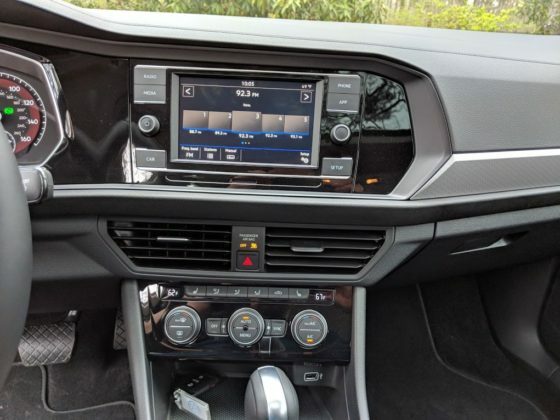 The dashboard has absolutely no element of fluff to it, but it is perfectly designed and built with the kind of attention to detail that you expect from a German vehicle, regardless of its price and segment. 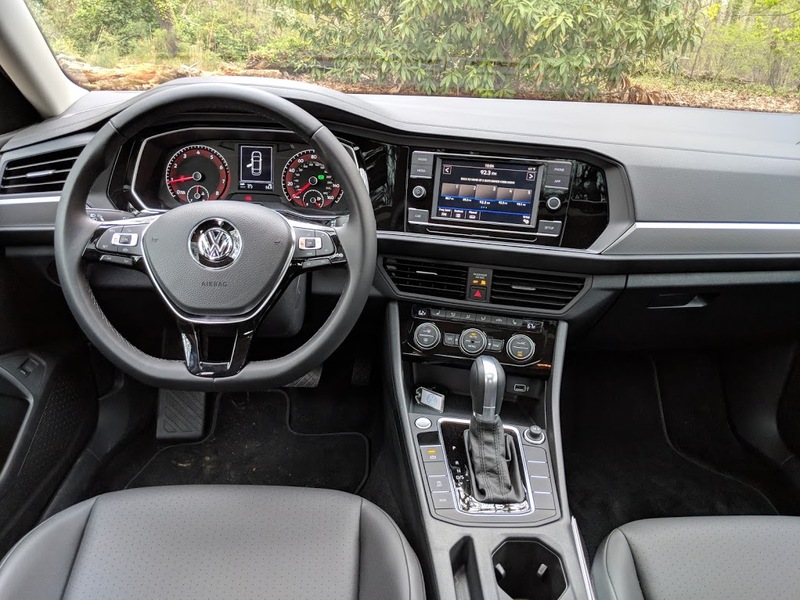 The pièce de résistance is the Digital Cockpit available on the top-of-the-line 2019 Jetta. 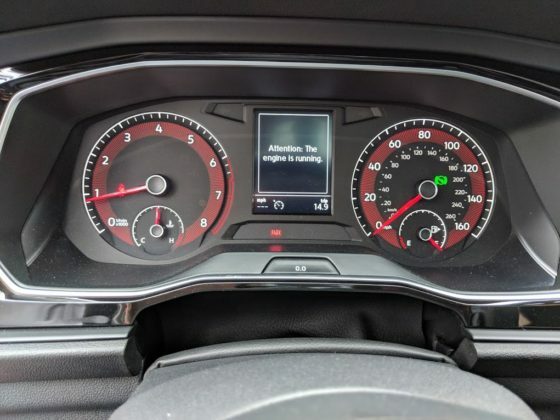 Like Audi’s Virtual Cockpit, the DC is a configurable, fully digital instrument cluster that you can personalize to your information needs. As I’m writing this review, there’s a $150,000 Mercedes-Benz S-Class in my garage that also has a digital instrument cluster. 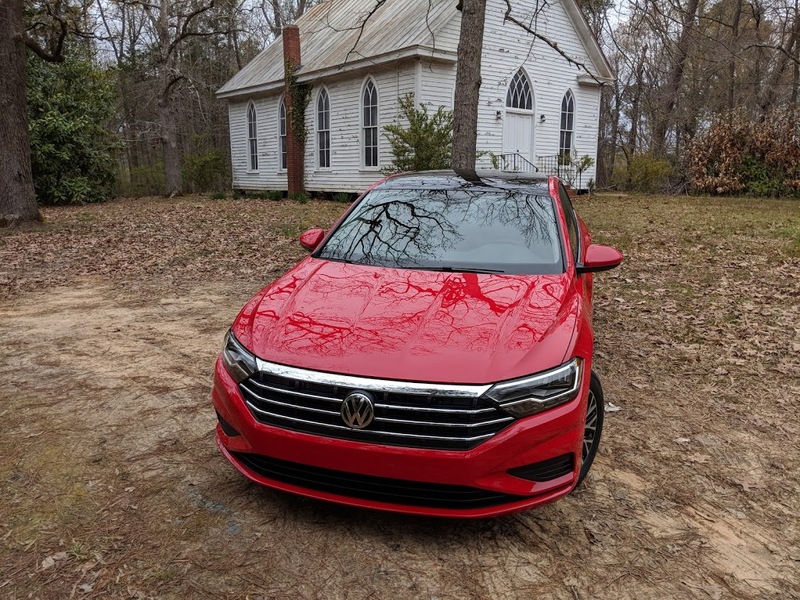 VW’s decision to offer it in a car that starts at $20,995 is certainly noteworthy, although again, only the top Execline trim gets it. You’ll have to shell out $27,695 for that model with a manual gearbox. 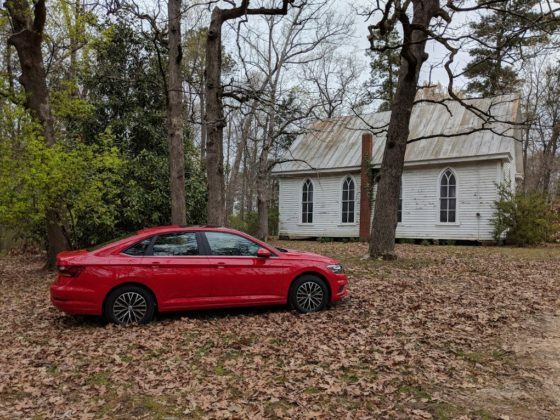 Add another $2,400 for an automatic. 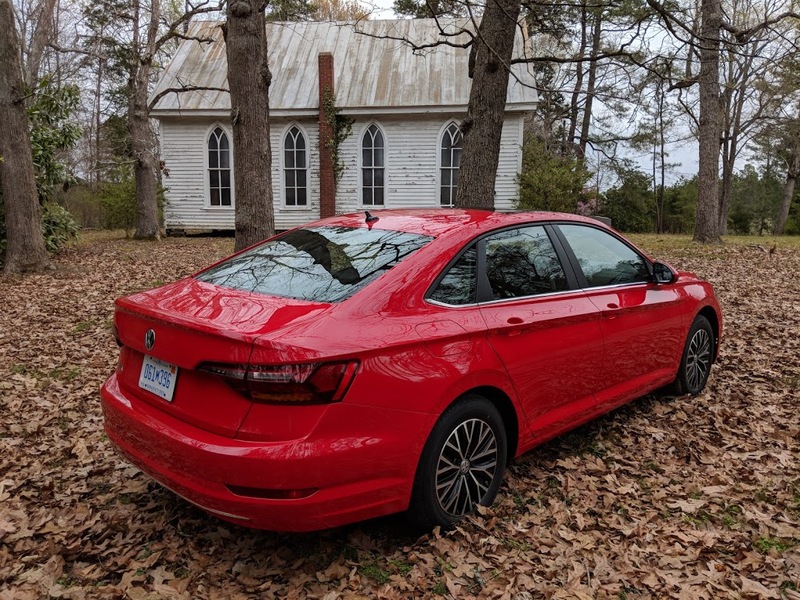 Value is one thing the 2019 Jetta doesn’t really provide compared to other vehicles in the segment. There’s just not a lot of equipment in the entry-level model aside from the heated seats. You have to add a little over $3,000 to get things like dual-zone climate and keyless entry with push-buttons start. Moreover, active safety features like forward collision warning and lane departure warning and prevention are available, but always as an option. Ultimately, the Jetta’s starting price is about 3 grand more than most competitors, and about the same as an all-wheel drive Subaru Impreza. 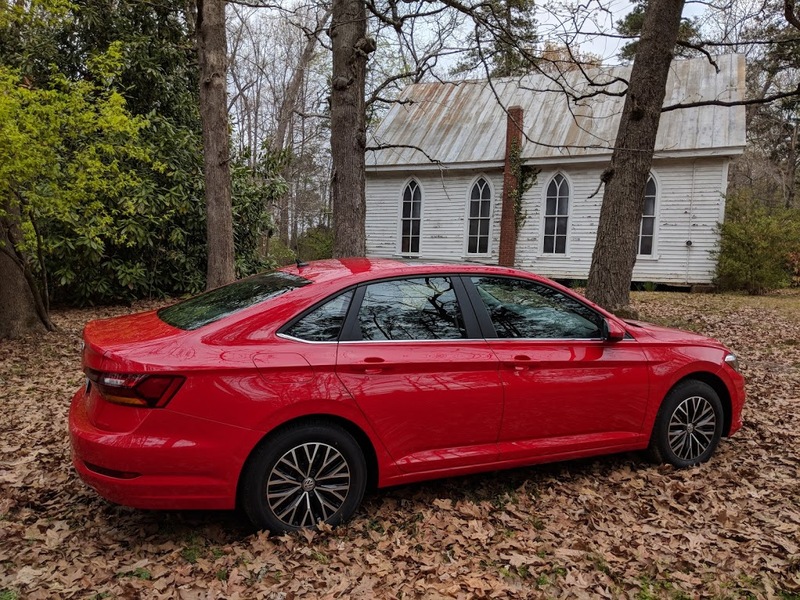 Value be damned, the 2019 Volkswagen Jetta is a great car to drive. It’s composed, comfortable, quiet and refined, and it has plenty of power thanks to its turbocharged engine. 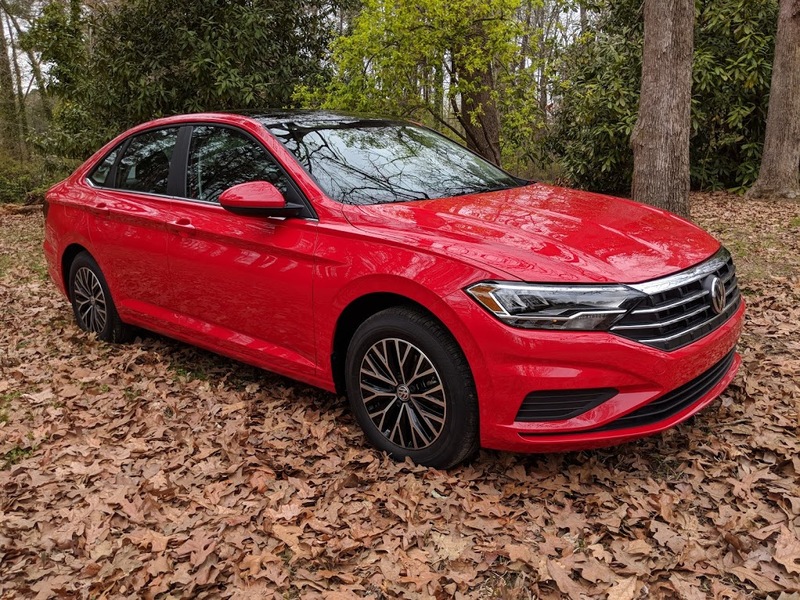 It’s the same 1.4-liter turbo that powered the previous generation, with 147 horsepower and 184 pound-feet of torque. 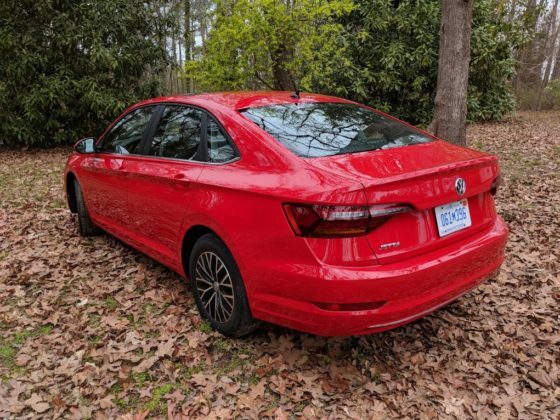 That’s a lot more torque than most compacts, and you’ll quickly learn to appreciate it. 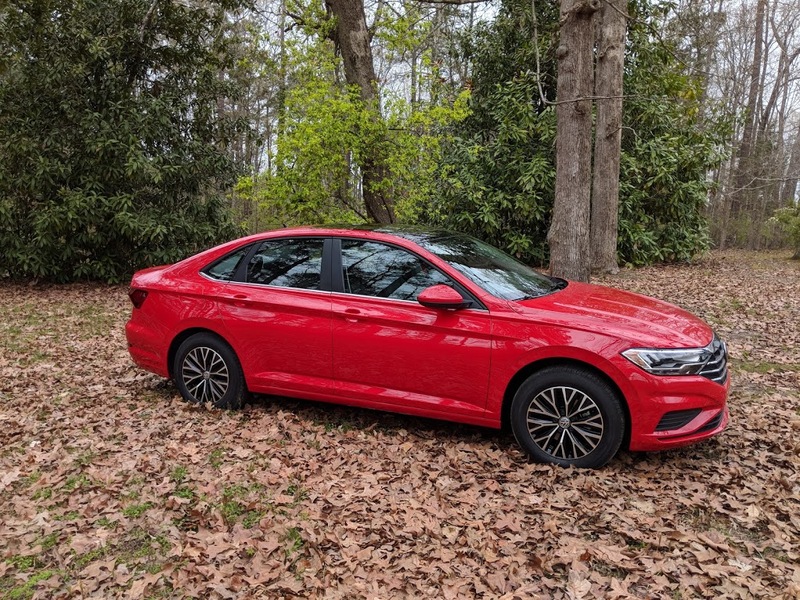 The 8-speed automatic gearbox is new this year and does a great job of handling the engine’s power. 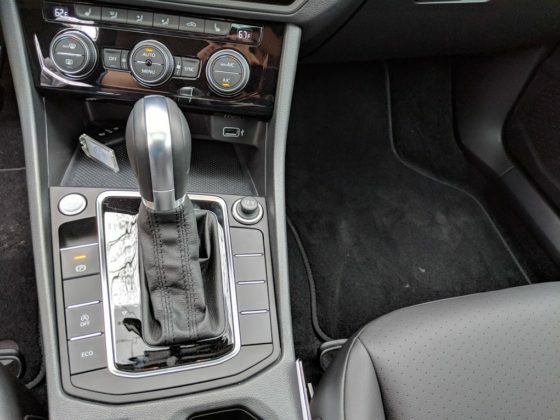 The danger with having that many gears is that the transmission can sometimes confuse itself. Not so with the Jetta and you get improved fuel economy as a bonus. 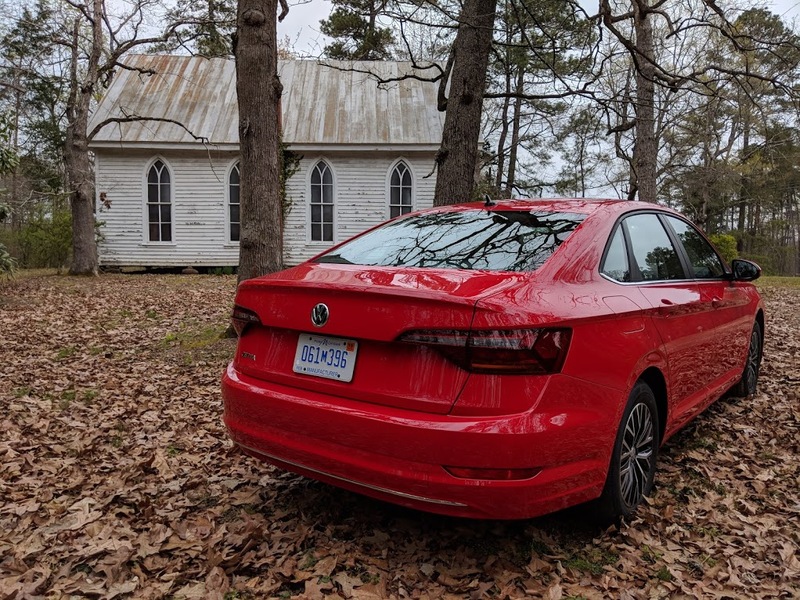 As a driver’s car, again, the new Jetta is at the top of its class. 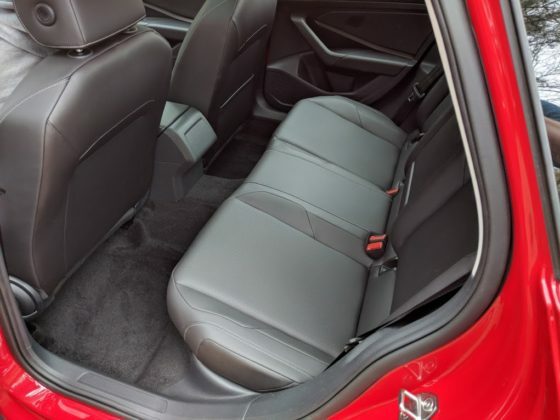 It’s also right up there when it comes to comfort, versatility, and even luxury. 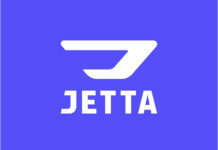 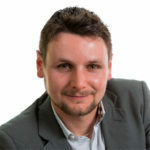 Its only issue is pricing. If VW can drop the price by a few thousand dollars, or at least add more features in each version, the Jetta can and will do some real damage in this segment.